Friendship Village boasts a wealth of amenities rarely found in this price range. With unique floor plans and modern kitchens, you will be certain you have found the perfect one, two, or three bedroom apartment home. You will love the large living and dining areas, the spacious closets, and a private patio or balcony. You will enjoy the enormous windows and the convenience of your own full size washer and dryer. If you want to take a virtual tour of our community please click here. 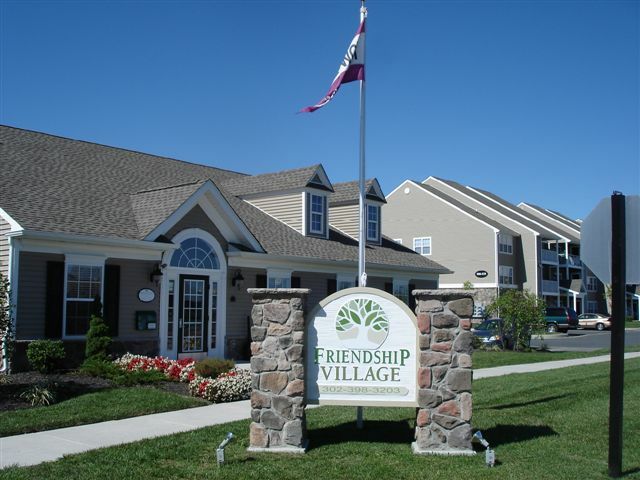 Friendship Village Apartments is professionally managed 168 unit rental community located in Harrington, Delaware. Each apartment home features a set of unique amenities with floor plan options to fit any budget. There is natural lighting in every home and walk-in closets to help keep you organized. 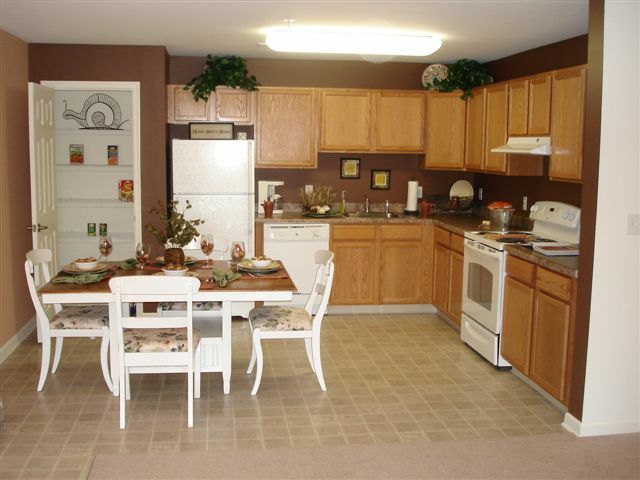 The kitchens have an open plan with beautiful cabinets & counter tops and built-in appliances. Friendship Village boasts a wealth of amenities rarely found in this price range. With unique floor plans and modern kitchens, you will be certain you have found the perfect one, two, or three bedroom apartment home. You will love the large living and dining areas, the spacious closets, and a private patio or balcony. You will enjoy the enormous windows and the convenience of your own full size washer and dryer. The complex offers a 2,500 sq ft onsite clubhouse featuring a gathering room, kitchen, business center with computers and free WIFI, 24/7 Fitness Center, and outdoor pool. If you are searching for an apartment in the Harrington Delaware area, make sure to give us a call to learn about the best apartments in Harrington, DE. For more information about Friendship Village, please feel free to contact us.